The British Isles could be said to have simply been constructed out of what was geographically accessible and militarily defensible at the time. Island nation status has made it repeatedly un-invadable since what might be said to be the only successful attempt of the Norman invasion. So, barring occasional forays into northern France, Britain remained comfortable in it's land mass until the advent of industrial sail allowed for the construction of a vast commercial satellite empire through the shrewd use of high-technology and diplomacy. The same applies to Japan barring it's slightly more aggressive forays into neighbouring Manchuria where it successfully held sway for some time. In these cases, the national identity of the citizens are inexorably tied to the land they inhabit. Though the same cannot be said for all. The Jewish diaspora is perhaps the most famous example of a landless people. Here we enter into the great chicken and egg debate of whether Judaism is a race or a religion. It is undoubtedly both to a greater or lesser degree of personal reading but which came first? All the major religions started small and localised - in most cases the literature suggests with one man. They then spread geographically with the passage of travelers, traders and armies. No religion before the advent of television could simultaneously sweeps a nation the way that American Evangelism, Buddhism for yuppies and Adele do today. So Judaism only formed itself latterly into the state of Israel through a protracted history of horrific oppression and political wrangling. The state of Israel then lends itself to the idea of a race for Judaism. But converts to Judaism as well as non-practicing Jews are allowed free citizenship with an Oleh certificate as equally as the most orthodox of Hebrew scholars so really Israel is formed around a loose identity of cultural history whether inherited, acquired or learnt. This was a conscious construct of a nation though. The ideals and methods at play were legible to everyone at a time when democracy and openness of government held sway. The same does not hold true for the establishment of national boundaries that gave the shape of mainland Europe we see today. 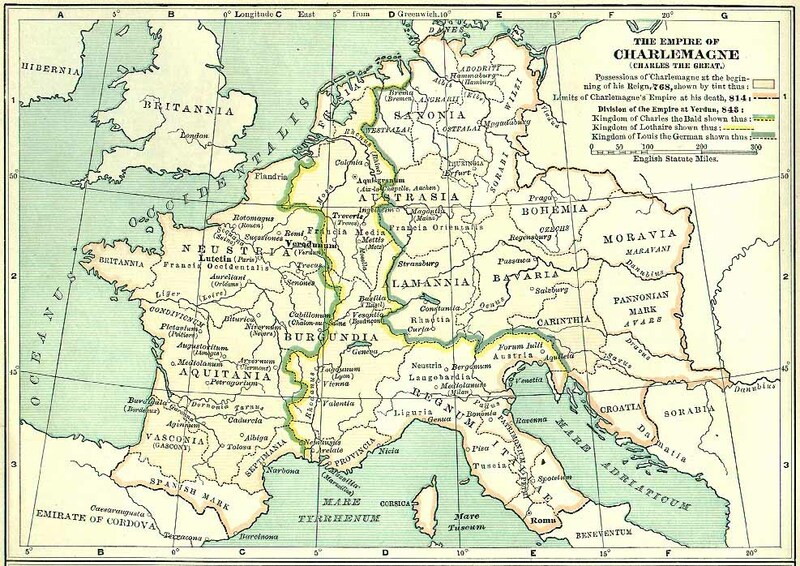 The shaping of modern Europe could be said to have started with Charlemagne. He prevented the Moslem armies from advancing on Europe, laid the foundations of the Holy Roman empire and invented many of the principles and concepts that became central to the organisation of any modern state. Over time the groundwork laid by Charlemagne evolved into a complex patchwork mandala of city-states under the loose banner of the Holy Roman Empire and the papal states with the only constant remaining the Kingdom of the Franks, later the Kingdom of France. Barring the aforementioned 1420 English foray, France retained a nearly coherent geographic landscape from the end of Charlemagne's empire right up until a French lieutenant started getting uppity toward the end of the eighteenth century. But would the national identity of the average citizen, away from battlefield command, royal courts and parliaments be any different between the myriad broth of the Holy Roman Empire and the Kingdom of France? Throughout this time until the late industrial revolution, the average person probably never left their home town or village. The nation above them was an abstract construct with invisible borders that might be glimpsed on a rare map, their concerns were local as was their cultural identity and language. During the French Revolution less than a quarter of the French population even spoke French - a language reserved for the elite. Above (left) is a map of the main languages of France today. There are eight languages officially recognised by the French government and nine unrecognised as well as over twenty endangered indigenous languages. None of this takes into account immigrant languages. Compared to the way the city-states of the carved up Holy Roman Empire defined their borders (right) one can see very little difference. The citizens of these ill-defined blotches all had a homogeny based on a close geographic imperative. The greater or lesser degree of control exercised by a higher ruling body - the Kingdom of France or the elected leadership of the Holy Roman Empire had no impact on the identities of the citizens therein. Race plays a subsequent role to all of this movement. Again, most of these boundaries are defined by but often not subject to geographic limitations. Before the industrial age, gene-pools had a slow and limited spread and so strong racial identities would form around certain areas that would inevitably be inheritors of the cultural and national identity of that area. In the chicken and the egg situation the religion, the cultural paradigms, the language and the identity came first as reactions to the geography. 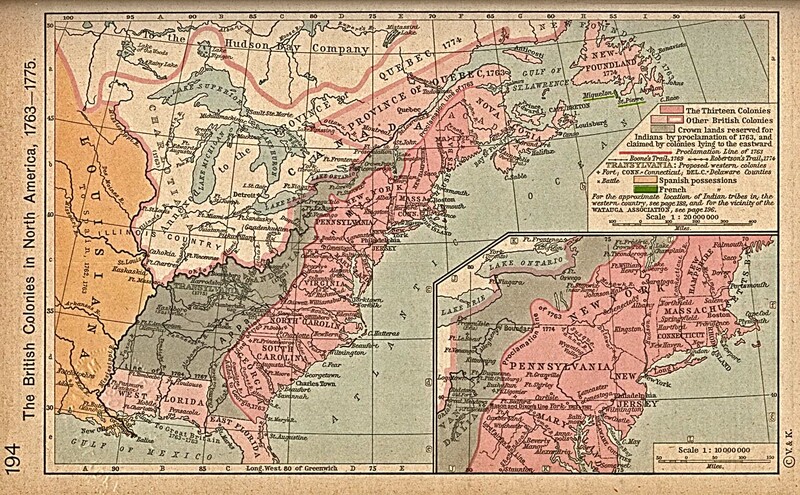 The race then followed while Kings, courts and armies carved out national boundaries above. Then the international Empires came. Britain, in particular began carving up the world using very specific tactics. In India, comparatively little cultural change occurred, there was none of the hysterical missionary work that defined Africa, nor the westward land-grabbing of the US. American of course was the hot-topic - the land of opportunity and utopian promises. Africa, meanwhile, was drawn as a strange, almost nightmarish world of curious animals and sub-human peoples fit only to be dominated by the rule of civilisation. Could the people of the British colonies ever be said to have felt British away from Britain? Most of the first colonists hoped to escape religious persecution and later ones tries to impose their own persecution in obscure, starry-eyes religions of communal ritual and new living. In India the disparity between the Raj and the subjugated natives implied a simple relocation mentality and in Africa all was strictly business, no-one really considered themselves a part of Africa on their missions there. So how do we define a nation? What is it for? I would say that today it is nothing more than a supporting infrastructure for personal enterprise. We rarely engage with the political wranglings of nations in the way that we might have, willingly or unwillingly. Relative openness in immigration and communication means that if you're not happy with your supporting infrastructure, climate or cultural identity it is relatively easy to up-sticks and move to a new one although perhaps not to the extent that the later US colonists attempted. Really we should tack on the phrase 'of nations' and underline a new history of ideals perhaps, beliefs, the individual, or simply people.